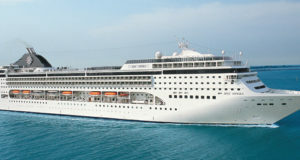 Daniel Skjeldam is raising the alarm about the increasing size of ships visiting small towns, the fjords and Svalbard. Daniel Skjeldam, chief executive of the Norwegian cruise and ferry operator Hurtigruten, has blasted the increasing size and numbers of big cruise ships clogging up Norway’s waters. In an interview with the Norwegian newspaper Dagbladet, he says he wants to see a total ban on heavy fuel oil (HFO) along the entire Norwegian coast and a limit on the number of ships and passengers that can visit certain destinations at the same time. Hurtigruten is investing $150 million in upgrading its ships to LNG and battery power. 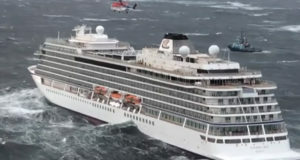 Skjeldam also said he is concerned that passenger vessels sailing to Svalbard in the far north are getting too big and warns that if one of them got into trouble, a rescue operation in these waters would be very difficult for 3,000 to 5,000 passengers plus crew. 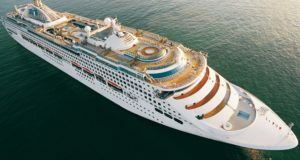 He adds that cruise ships calling in Norway should also have to commit to buying a certain amount of provisions and services locally and that there should be compete transparency in terms of the ships’ financial impact. Referring to Antarctica as a model, Skjeldam wants the Norwegian authorities and the industry to jointly develop guidelines for Norway’s more remote, scenic and environmentally vulnerable regions. 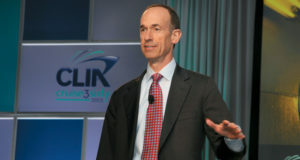 “The cruise industry has far too much control over itself. Now Norway has to take action to limit the damage and ensure a sustainable Norwegian tourism industry,” he says. For the country’s fjords, the maritime authorities have proposed a zero-emissions requirement by 2025, and Skjeldam is pushing for tough environmental regulations for all ships bigger than 10,000 tons. 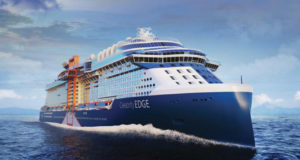 There is also the problem of providing shore power, as many of Norway’s cruise destinations are too small to provide enough electricity for large cruise ships, which often need as much power as a small Norwegian town. Skjeldam’s goal is year-round cruise tourism but with fewer passengers per ship who are willing to pay more to maintain the quality of their experience in Norway. “It’s amazing that ships that sail along the coast use heavily polluting heavy oil as fuel in 2018. It gives greater emissions to the atmosphere, which increases with the risk of catastrophic emissions to the sea in the event of accidents,” he tells Dagbladet.